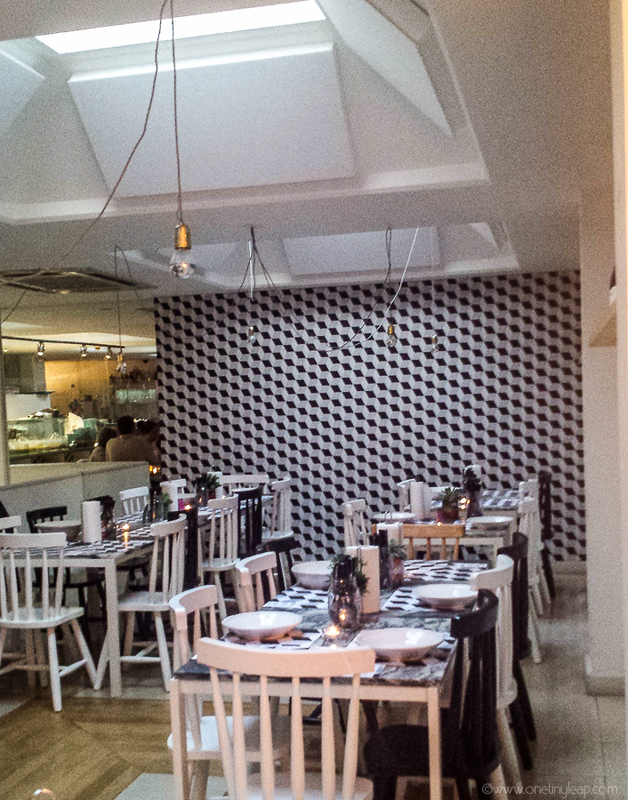 Just shy of a year old, this popular modern restaurant in the very local neighbourhood of Campo de Ourique is a great place to go for a light meal with plenty of artisan Portuguese, specialty German & Belgian beer on offer. 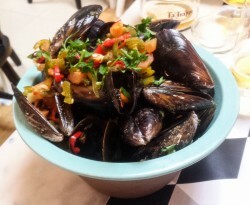 The menu is unsurprisingly moules based, with several variants on the popular seafood dish including the classic Meuniere, a comforting ‘A Bulhao Pato’ version and a spicy chilli option for those with a taste for heat. Prices start around €9 euros and hike up to €15 if you’re not in the mood for mussels and decide to choose the filet steak instead. My thai moules were delicious, and the chips (more like fries) were crunchy and well seasoned. The starter platters were just ok, and probably not really worth it as the mains come out so quickly. 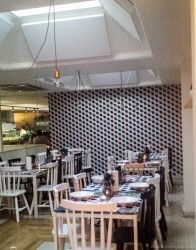 The large room is really well decorated, with modern and slightly industrial fittings and a casual feel to the place. It’s a large place, and the waitresses were very friendly, especially with our children. We always arrive early enough before the Lisbon dinner rush at around 7.30, which pretty much guarantees us an empty restaurant perfect for toddlers to play without worrying about upsetting other guests. It’s a great mid-range restaurant in Lisbon, I would think a good option for a group but particularly good for a small family. 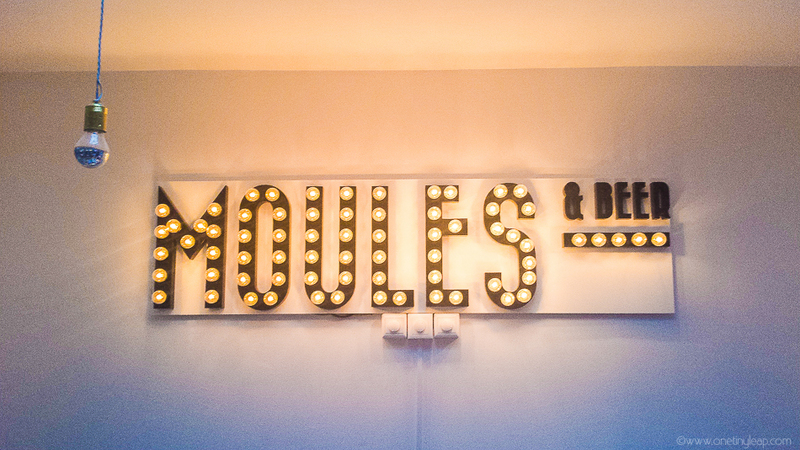 To find out more, visit the Moules&Co website.